Imperial Jintan depicts chapter of architecture with a divine pen given by nature. Presently the proven deposit of Imperial Jintan are over 500 million m3 with fine quality and all kinds of varieties .Thanks to its noble color, extraordinary texture and especially the splendid luster after polishing. It can be used as high-quality decorative materials applicable to commemorative architecture or building needing higher ranking decoration to be imposing and magnificent. Hotels, exhibition halls, cinemas, shopping malls, libraries, airports, and walls, pillars, floor, stairs and so on decorated with imperial Jintan are extremely high aesthetic value and are the masterpieces within the field if building materials. 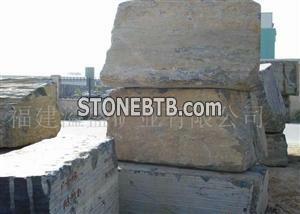 Company Name :Fujian Yixon Stone Co., Ltd.